You are welcome to enter anything as long as you have used either punches or dies, or even both, and please don't forget to enter no more than 15 challenges including this one. 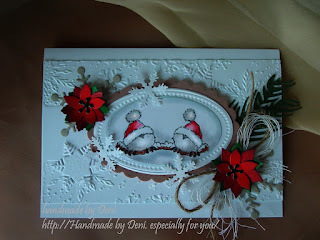 I used a new die my hubby bought for me for Christmas and backed it with a Spellbinders die. Sentiment is also die cut. 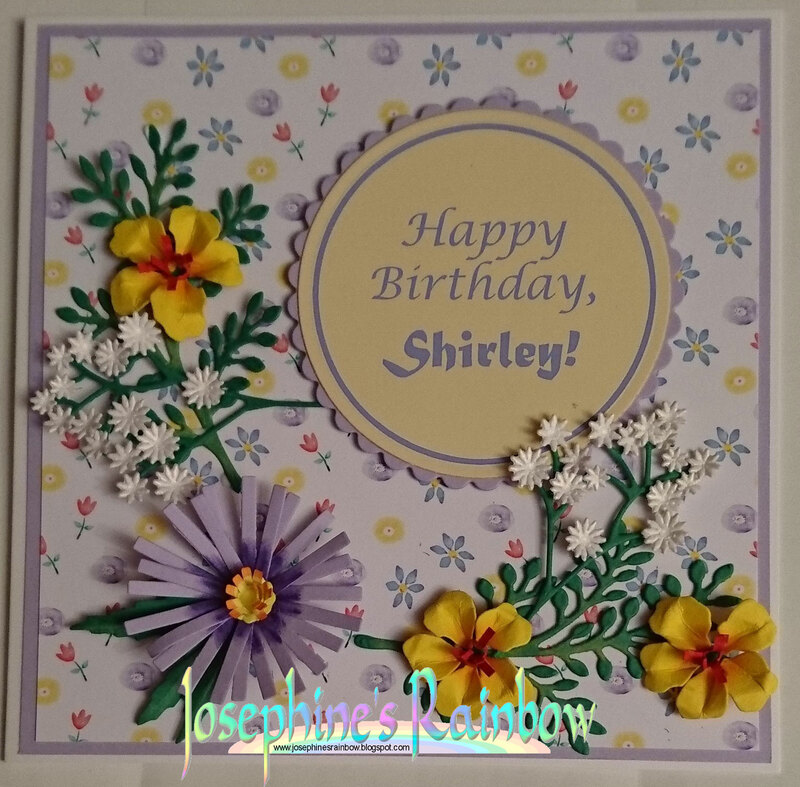 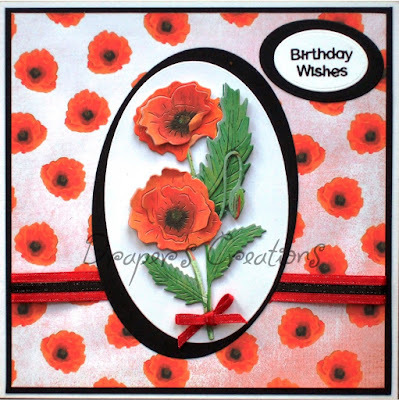 I created the greeting in Photoshop Elements and used Spellbinders dies to cut that and the mat, and then I die cut pieces for the flowers using a variety of dies from Sizzix and Cheery Lynn. 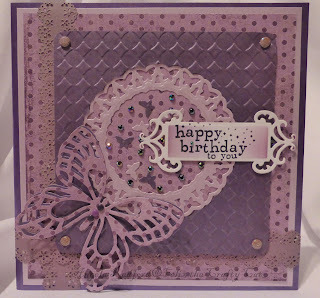 I have used various dies from Tattered Lace as well as one of their CD ROMs to make this card. 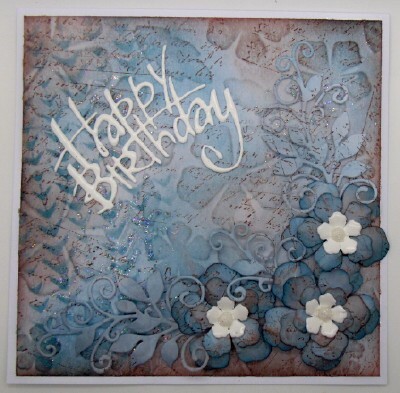 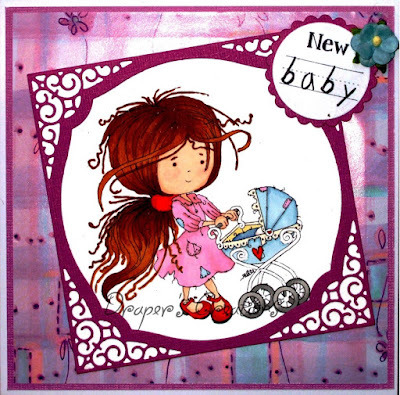 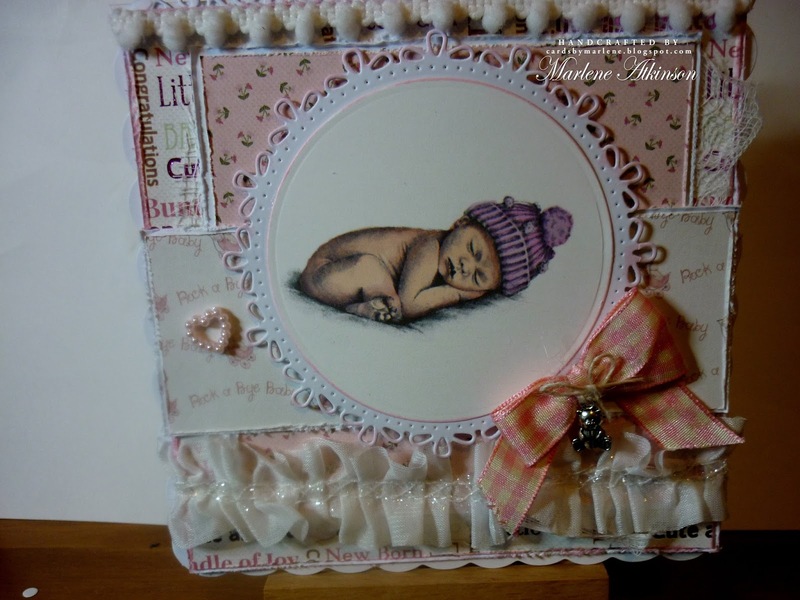 I used a stencil and modelling paste for the background of my card then splattered the background with Brusho. The die cut leaves were run through an embossing folder and then painted with blue and silver paint. 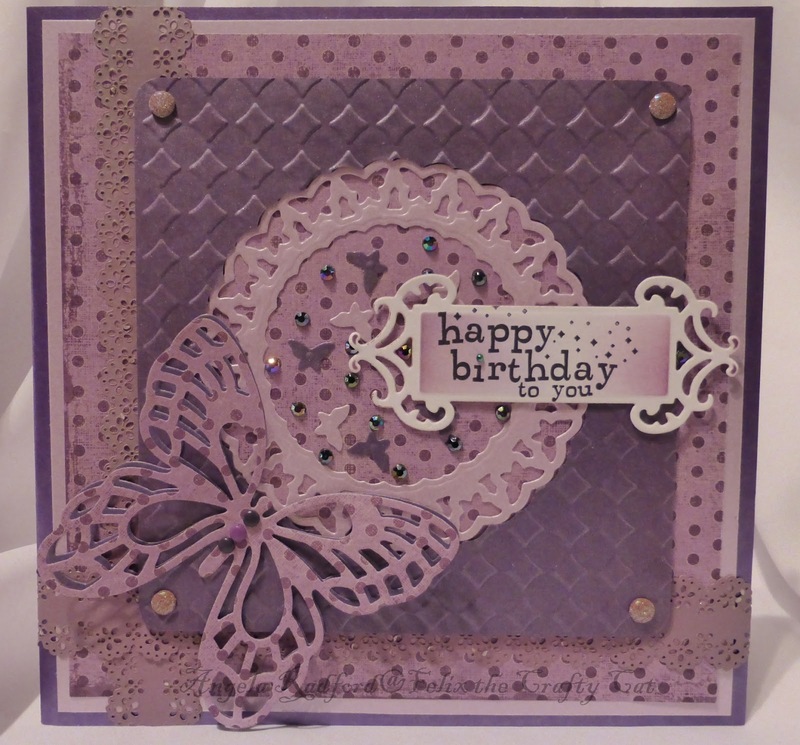 To complete my card I added some small gems and sequins after I arranged my die cuts. 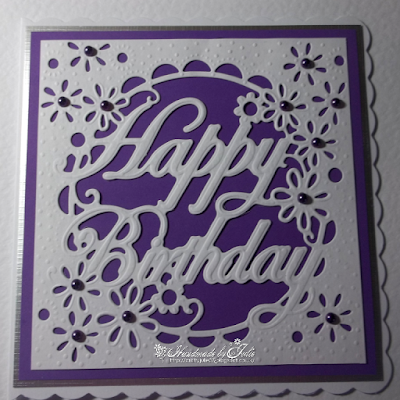 I've used a tattered lace die for the card base, mats and layers and flowers, and some tonic punches for additional flowers. 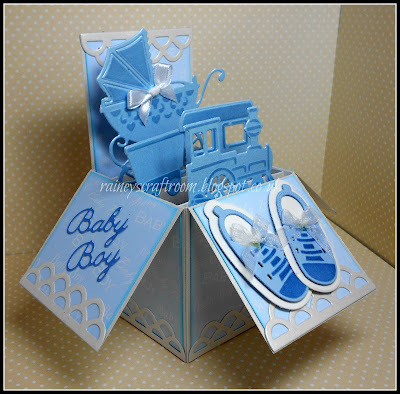 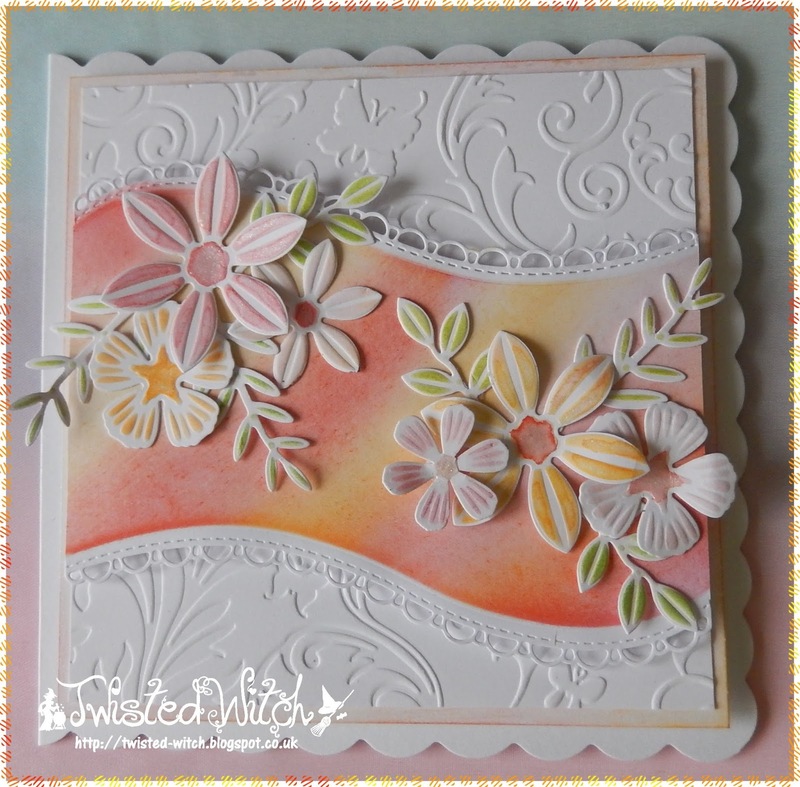 I have chosen to use some Sue Wilson dies for my card. 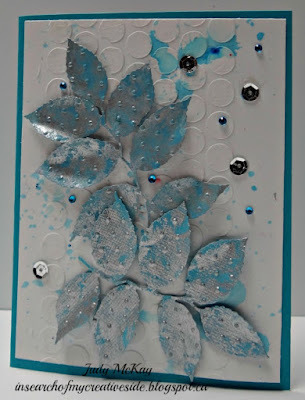 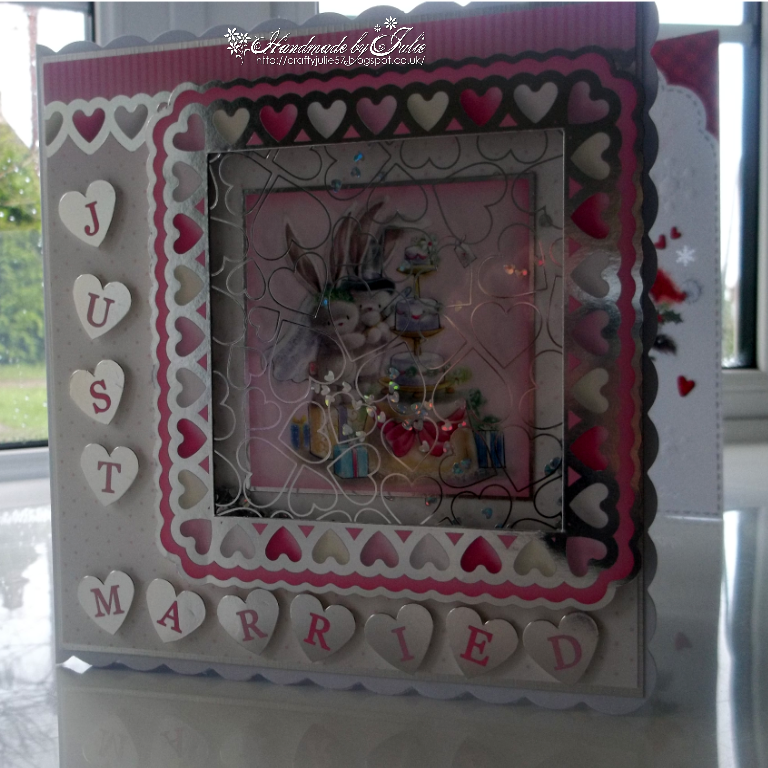 I used the dies to create my own embossing folder as well as the floral embellishment. 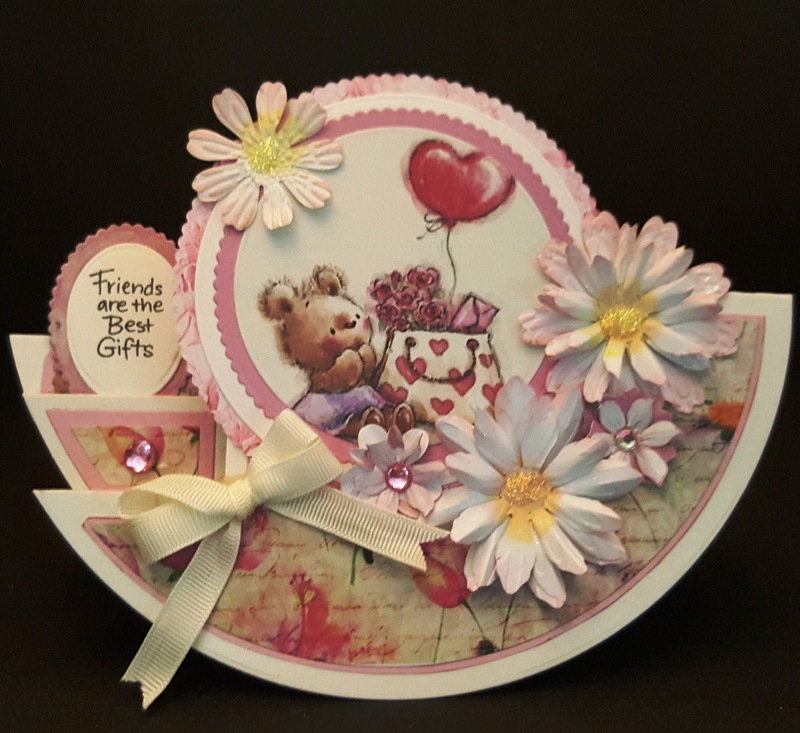 I have combined some flower dies and a heart shaped die from Marianne Designs with some papers from Craftwork Cards. This cute little image is 'Lil Girl Prayin' by Phyllis Harris. 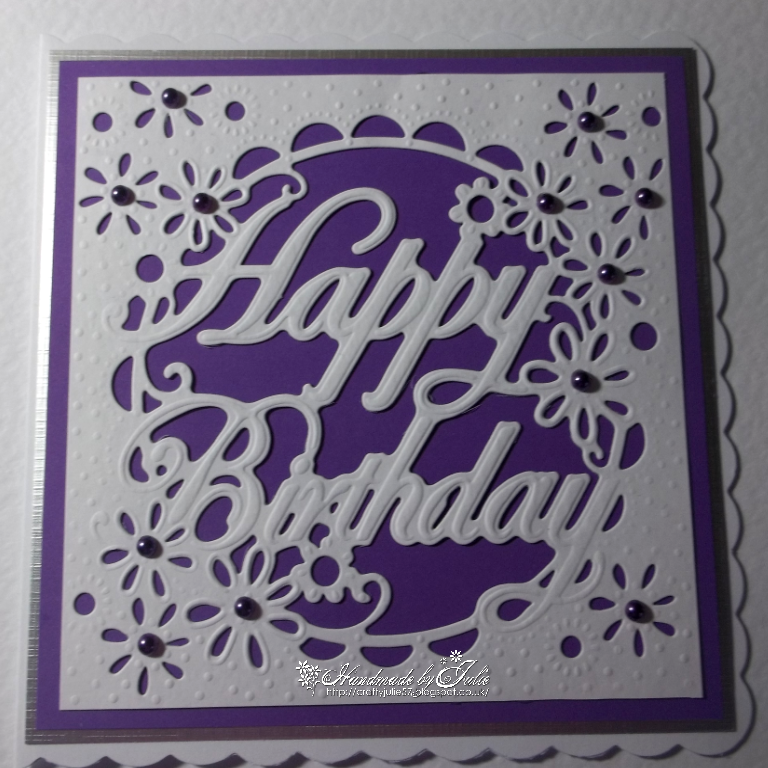 For the challenge I have used a lattice die, prayers die, Spellbinders circle die and flower punch. 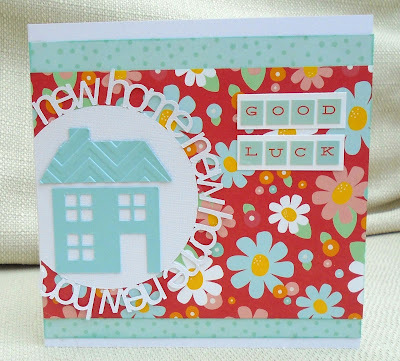 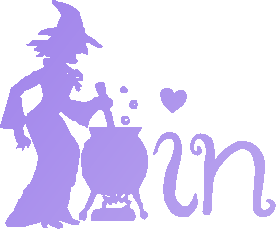 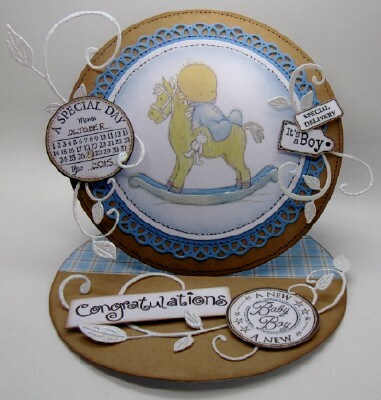 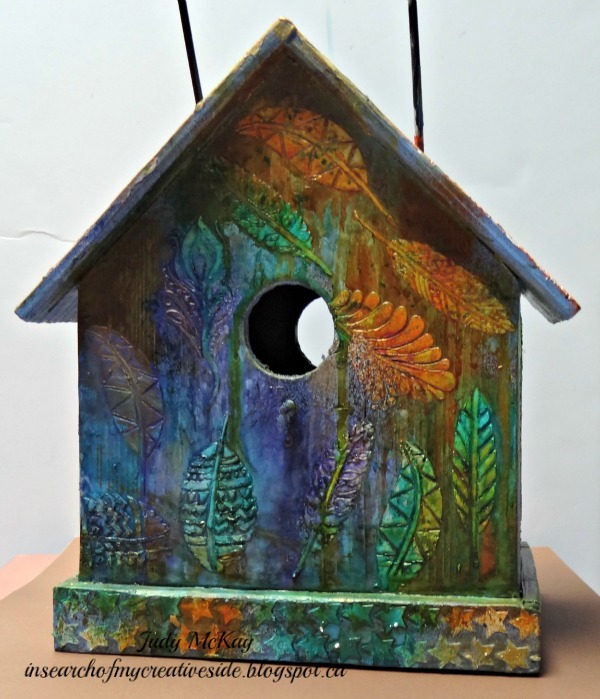 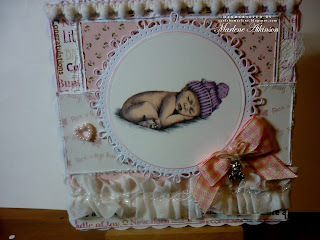 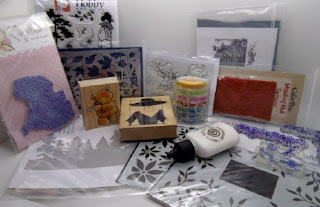 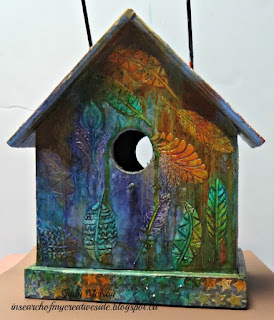 I have used an Inkylicious Stamp heat embossed it and a Spellbinders Oval Die. 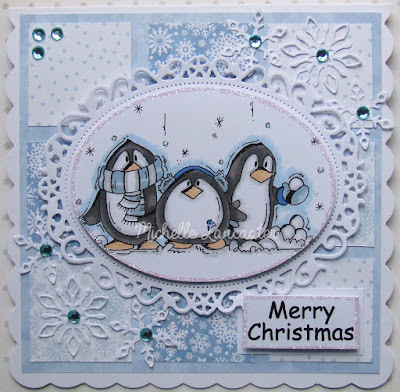 The penguins are so cute, and I love the cool blue colour palette. 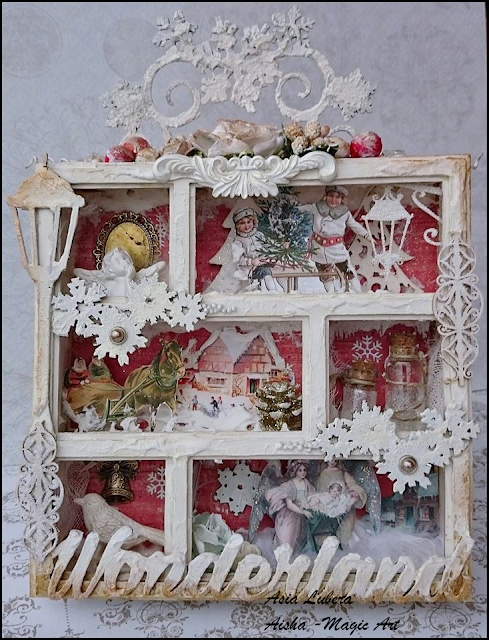 On first glance this is a very simple design, but the little village scene inside the bauble is just amazing! 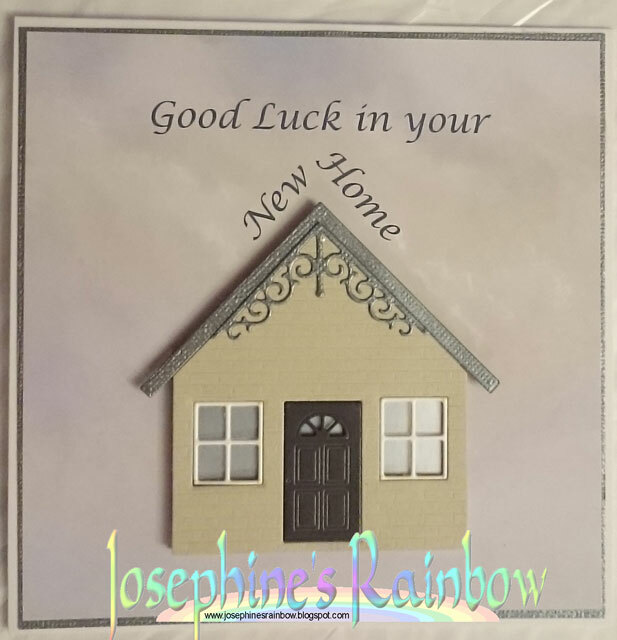 Congratulations to you all. 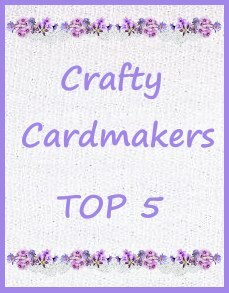 Don't forget to collect your badges from the sidebar, and we look forward to seeing you back here at 12 Noon for our new challenge. 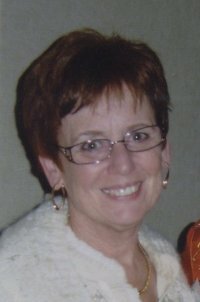 Could Chris please contact me at the address in the sidebar regarding her prize.